AikiWeb was launched on 1. August, 1997 to serve the Internet aikido community as a repository for aikido information. 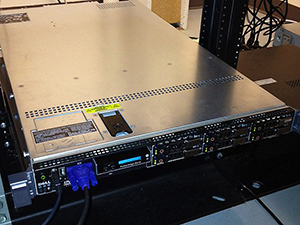 The AikiWeb server is running on a Dell R610 PowerEdge 1U server running Ubuntu Linux operating system and the Apache webserver. For creating and editing scripts, I use the Perl scripting language. For HTML editing, I use emacs and vi. For backend processing, I use MySQL and PHP. In fact, all of the software used in serving up AikiWeb is open source. As far as awards and such go, Yahoo was kind enough to give AikiWeb its cool link status, Netscape Directory has given AikiWeb its Editor's Choice award, NBCi has given this site its Best Sites indicator, and DMOZ (the open directory project) gave this site a cute little star! Special thanks goes out to Cindy Paloma from whom I inherited the aikido dojo listings and who maintained the original Aikido Information WWW/FTP Site. I have inherited the links from her page when she "retired" from the Internet aikido scene in December, 1997. I think I can say now that without her pioneering efforts, there would be no AikiWeb.